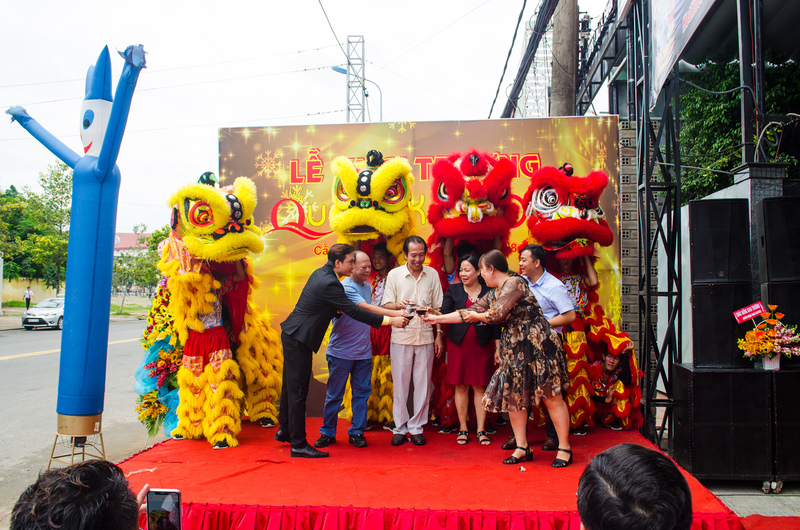 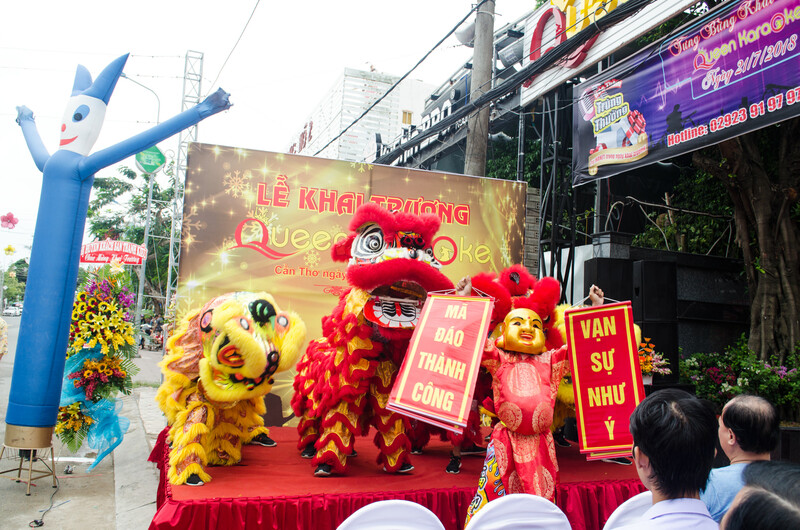 After completing the sound project at the 4-star Van Phat Riverside complex, including: Restaurant, wedding hall, boat … Van Phat Riverside investor continues to invest and develop the Karaoke Queen. 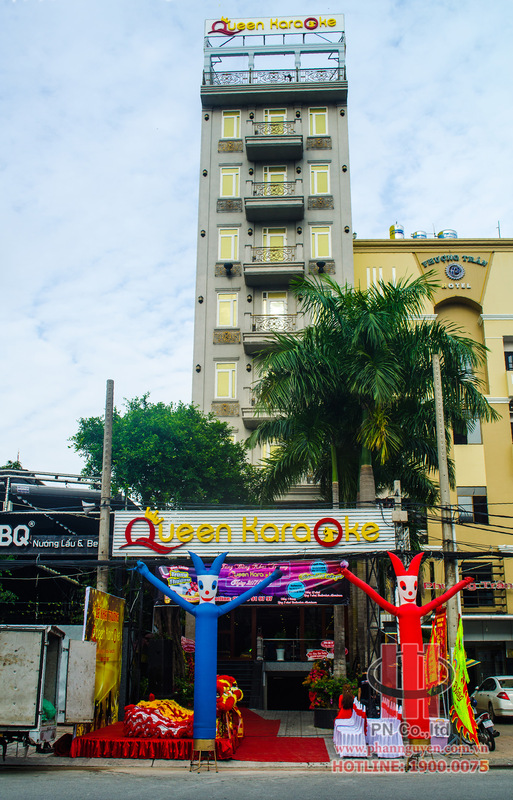 This is considered as the largest karaoke category in Can Tho, with 45 rooms of high standard, modern, luxury. 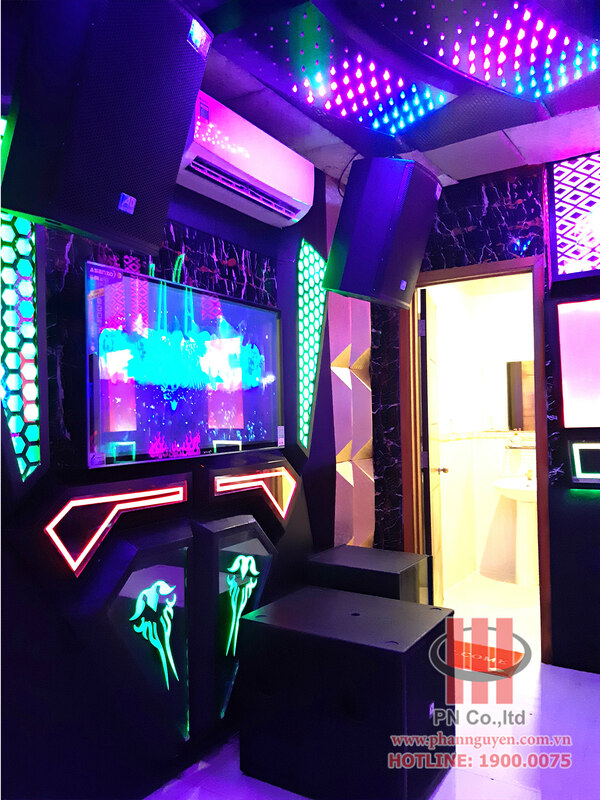 After the process of consulting, learn the other sound construction units, the investor Van Phat Riverside continues to trust Phan Nguyen Audio to carry out the construction of high-end karaoke audio system at QUEEEN Karaoke. 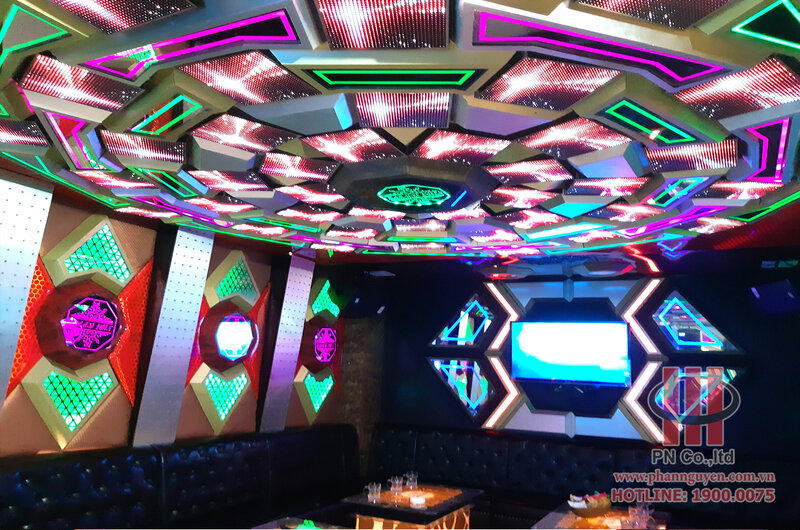 Depending on the design of karaoke room, area, layout, PHAN NGUYEN AUDIO equipped with the most sound system for each room. 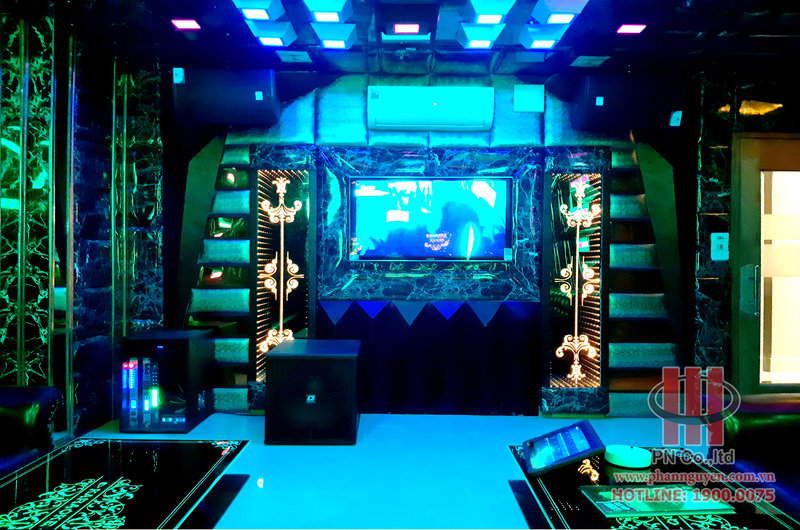 Sound system is used with BONUS AUDIO and Audience Delight. 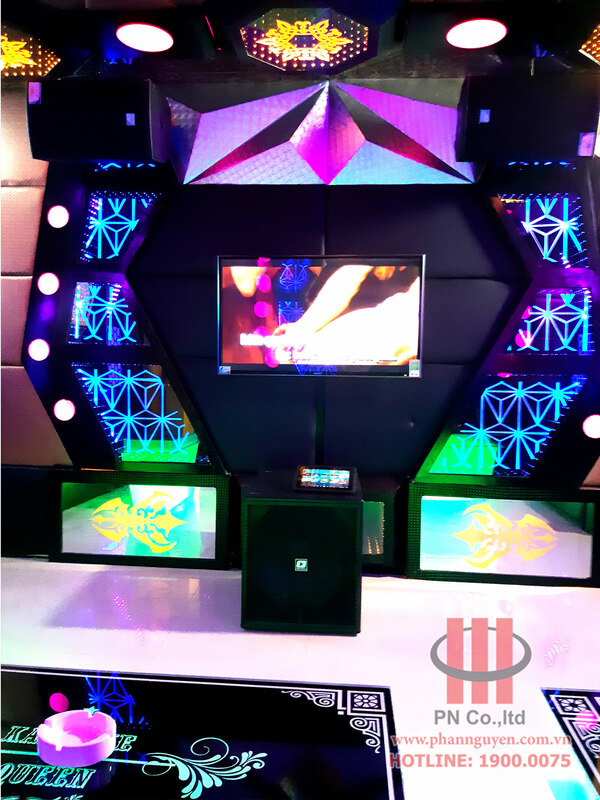 The Bonus Audio sound system is equipped with the following equipment:Power Amplifier Bonus Audio D2S advanced Class D technology, powerful power, subtle sound, bright. 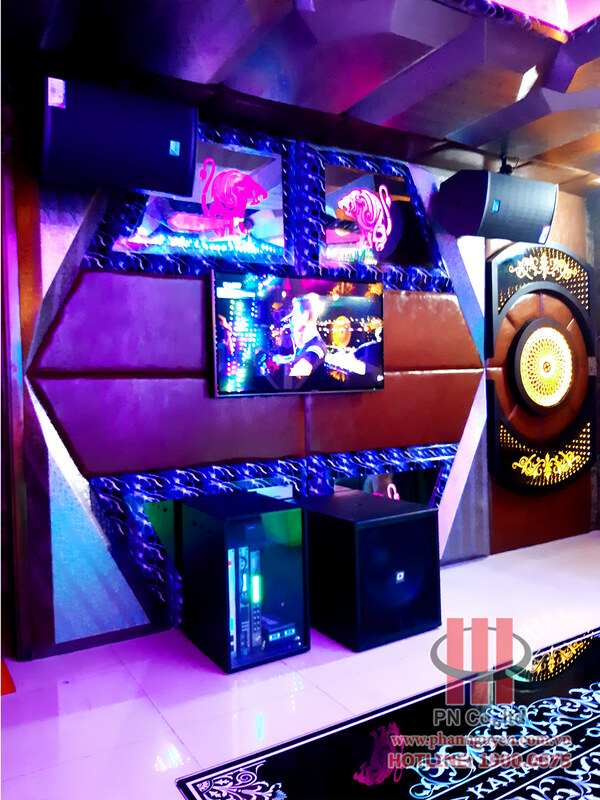 Power Amplifier Bonus D4S Advanced Class D technology, powerful power, subtle sound quality. 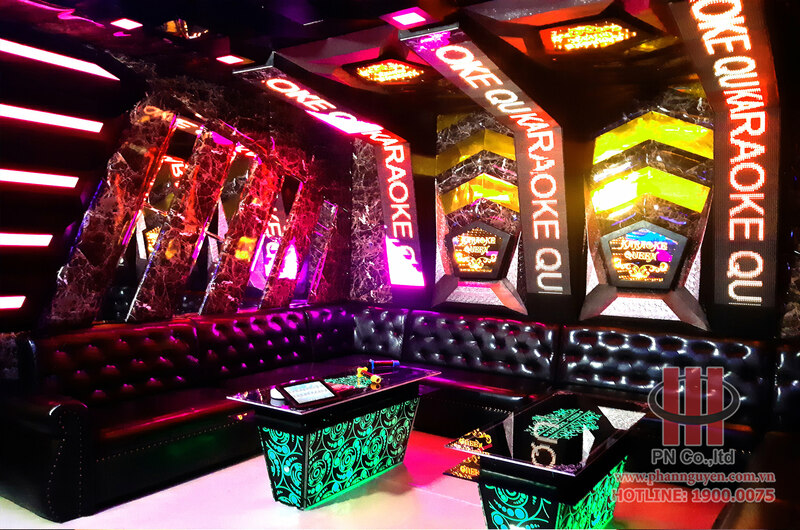 Digital Professor karaoke Bonus Audio MK-2000C modern, DSP technology, for the quality of sound level, the sound of live music, gentle vocals, gentle, anti-howling squeaks affect the device. 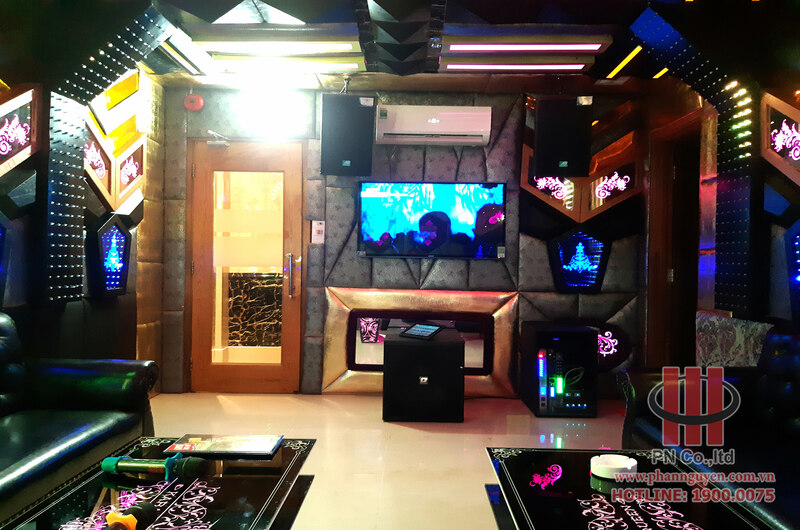 Bonus MB-999 Premium Wireless Audio Karaoke, clear, professional sound, clear vocals, light, clear. 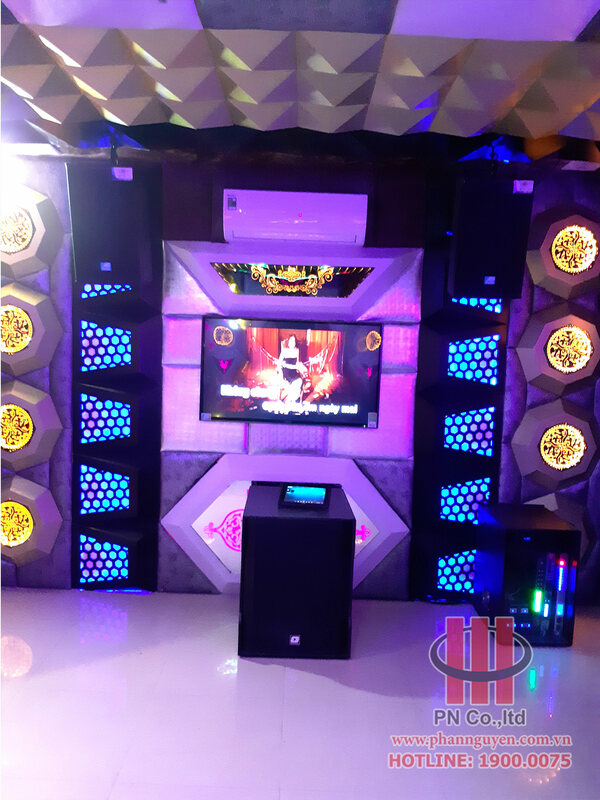 Microphone Karaoke Stand Bonus MF8 class, high-end audio, luxurious design suitable for any room space. 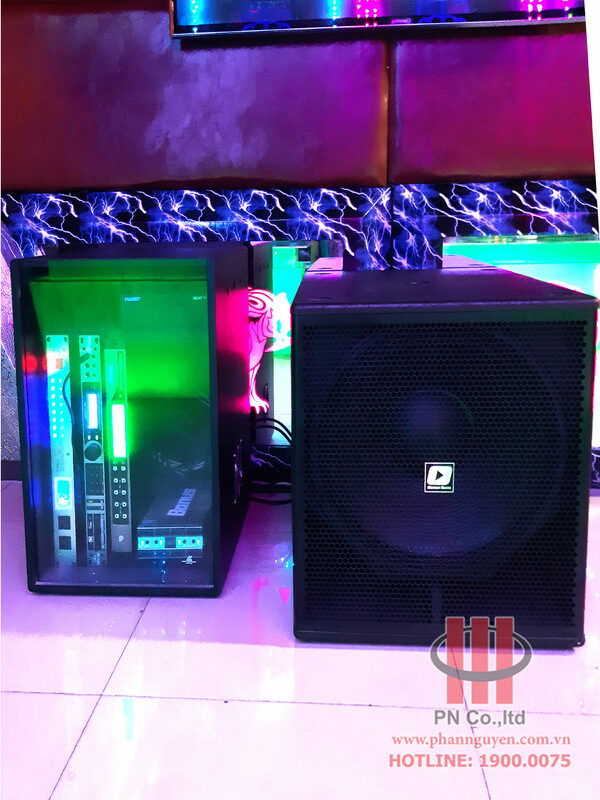 Subwoofer Bonus 118F powerful, deep and solid sound. 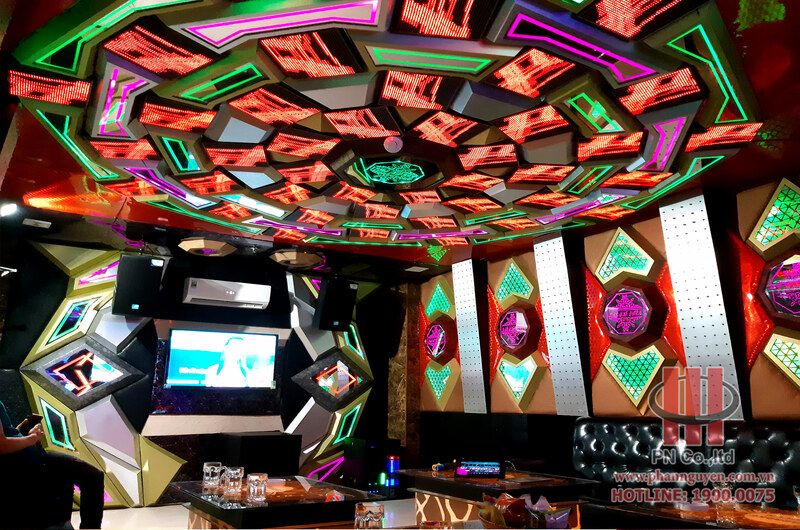 araoke VOD Hanet BeatX Pro class, professional audio, sharp images, rich music database, class, online song on YOUTUBE, SOUNDCLOUD handy, and best today. 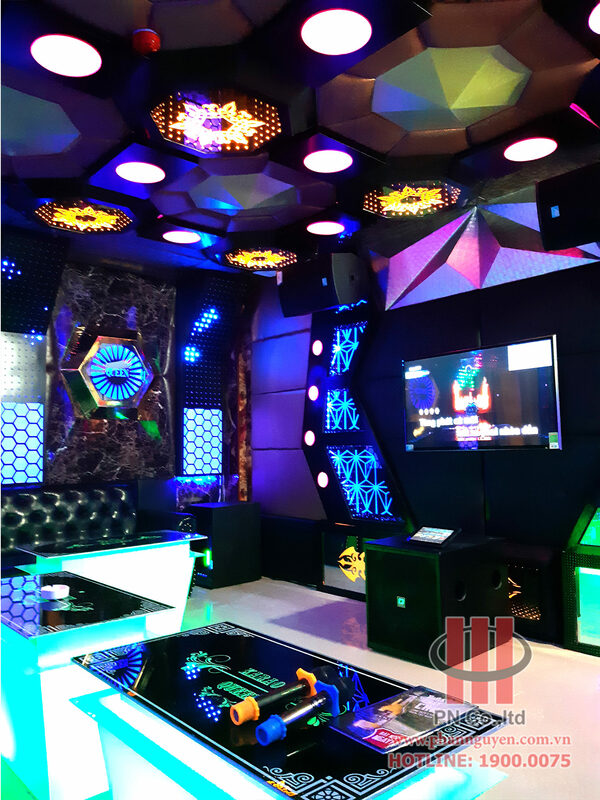 Responding to the belief of the owner, the entire sound system is Phan Nguyen Audio setup, optimal space for each room, bring quality sound and professional level. 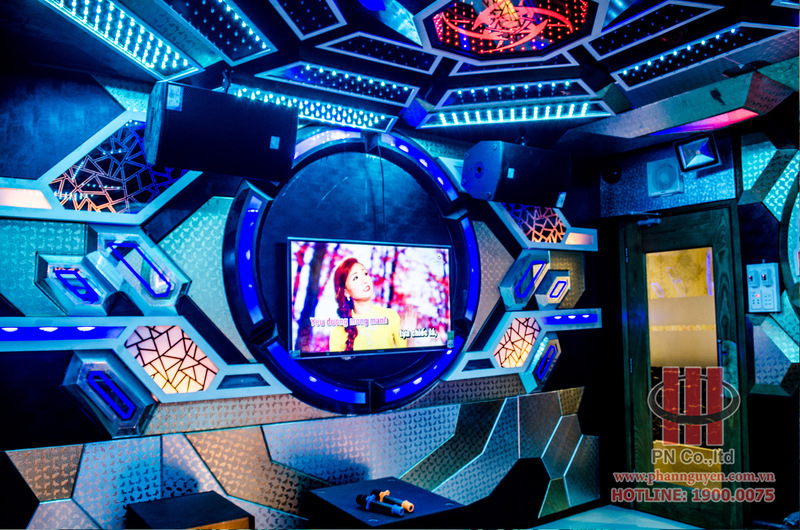 Meet all the entertainment needs of customers from young music, lyrical music to dance music, remixes. 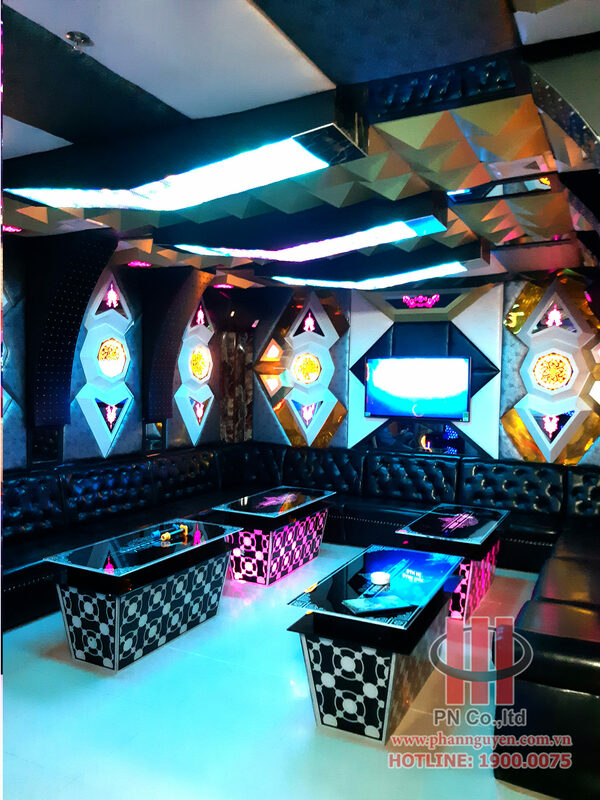 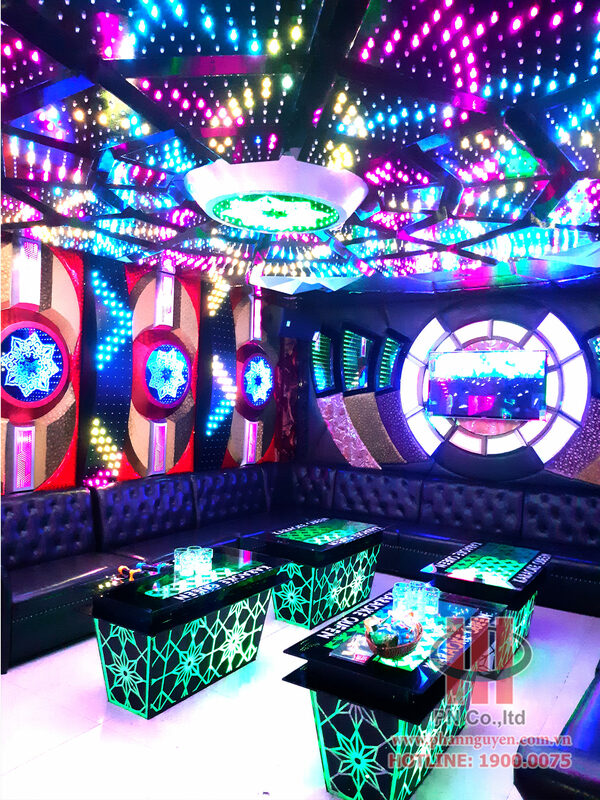 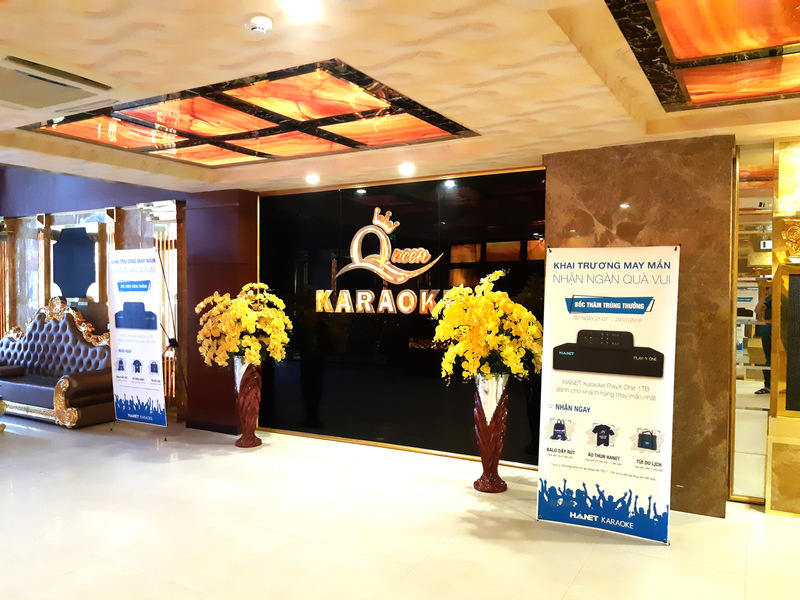 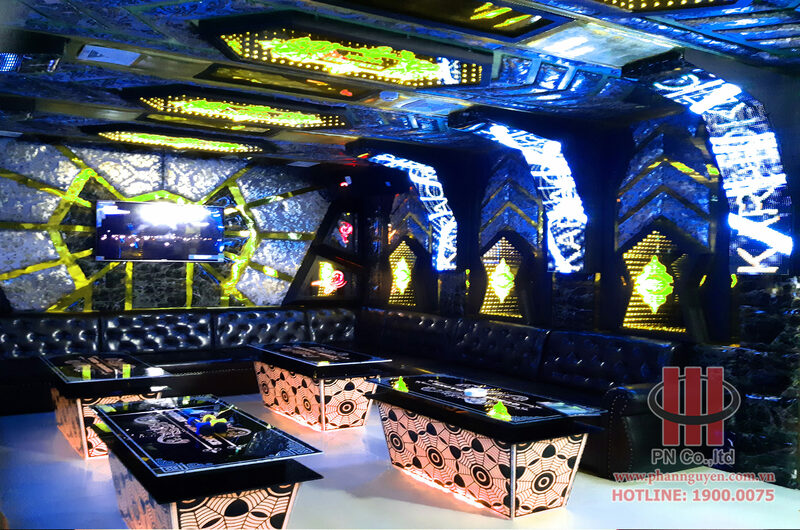 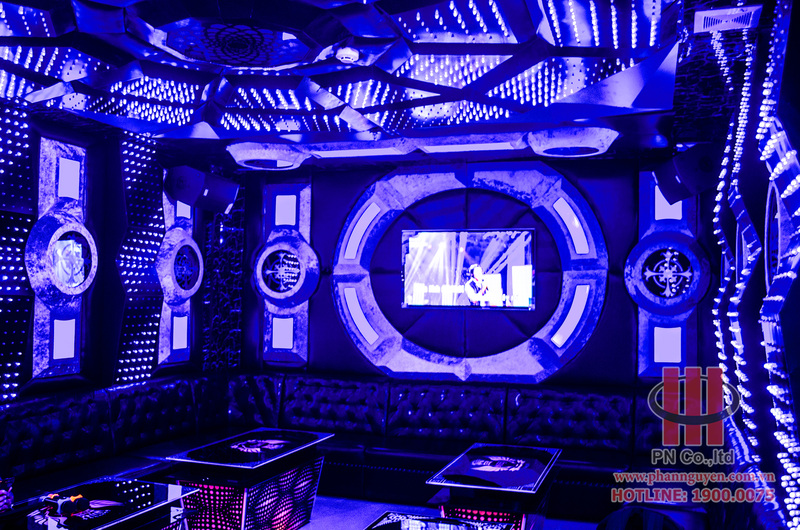 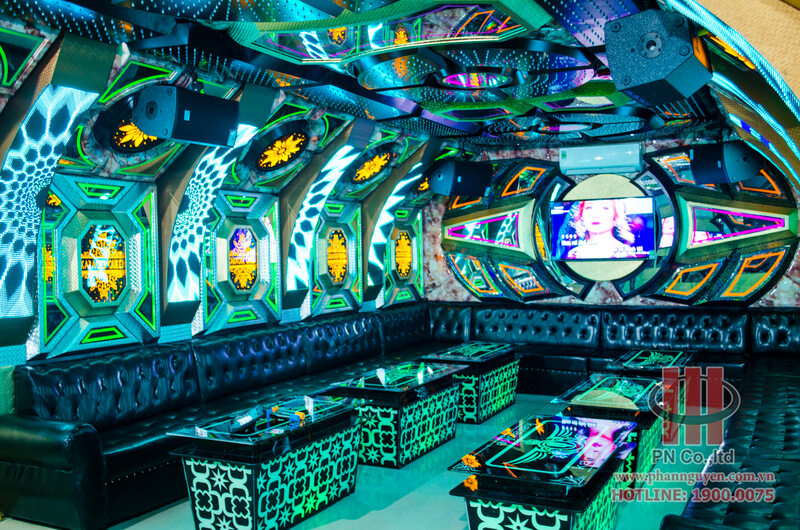 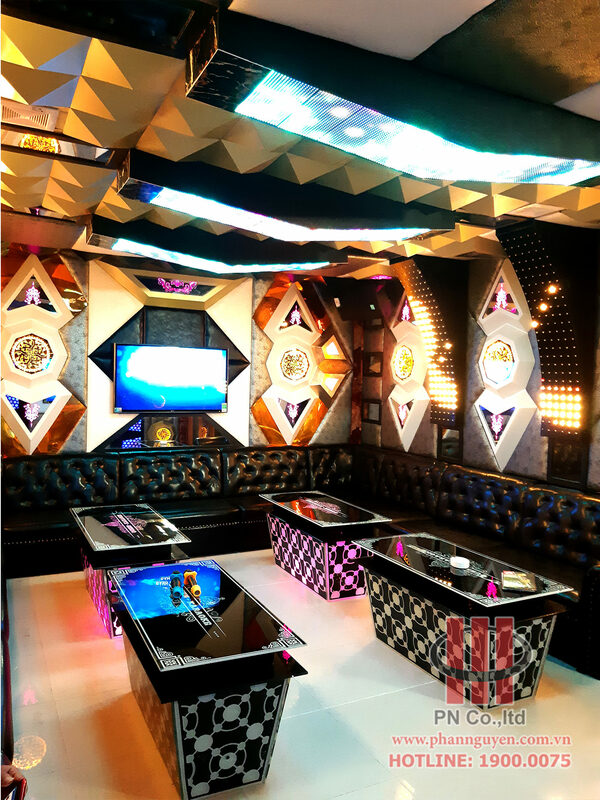 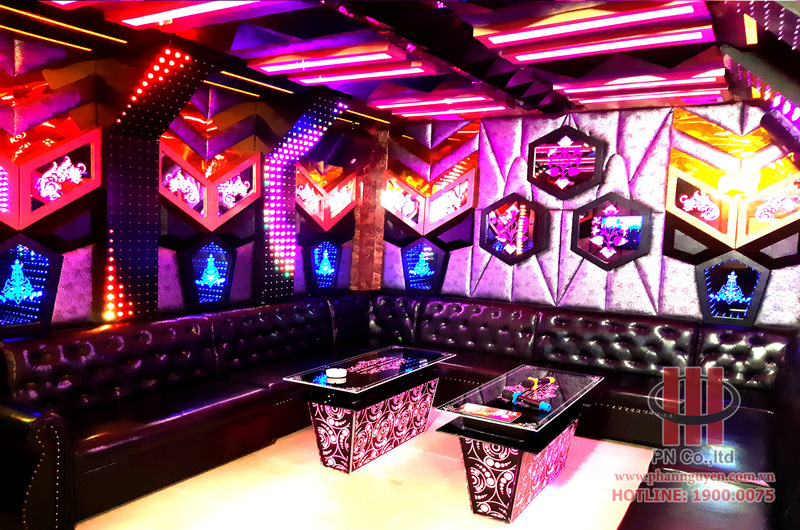 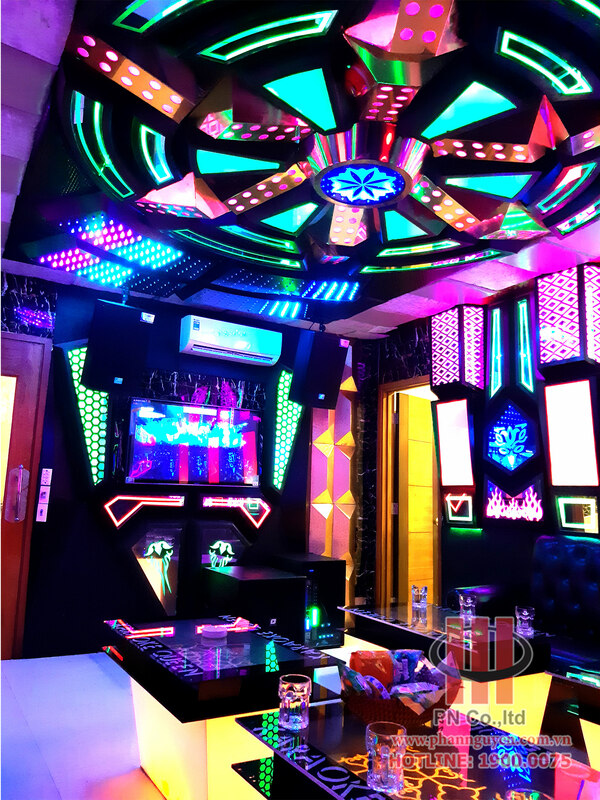 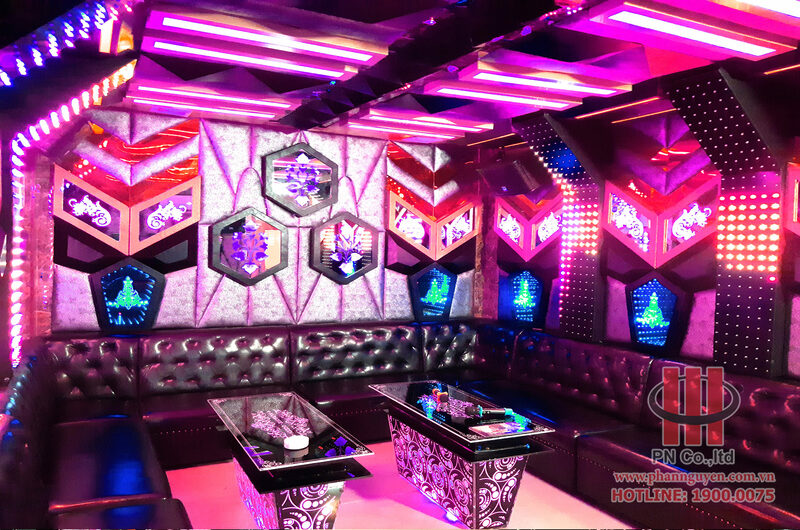 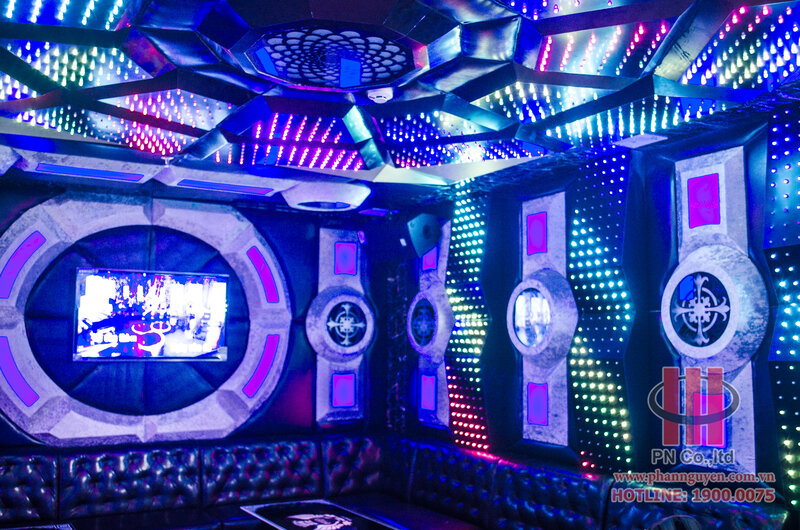 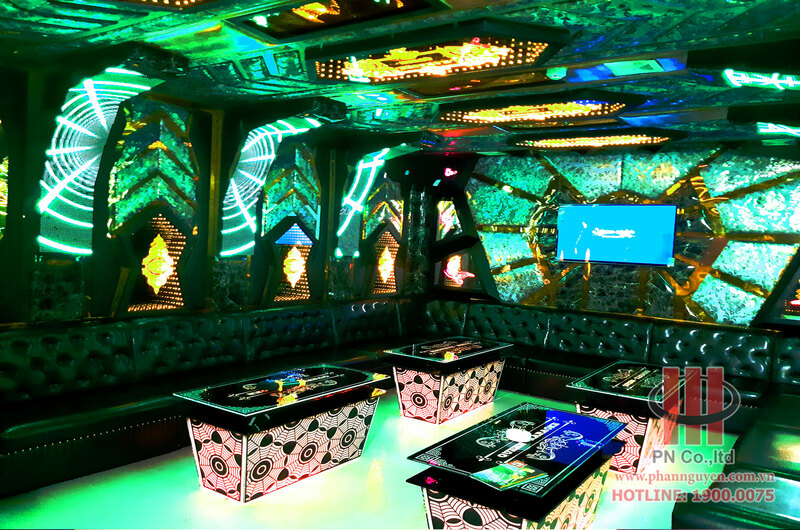 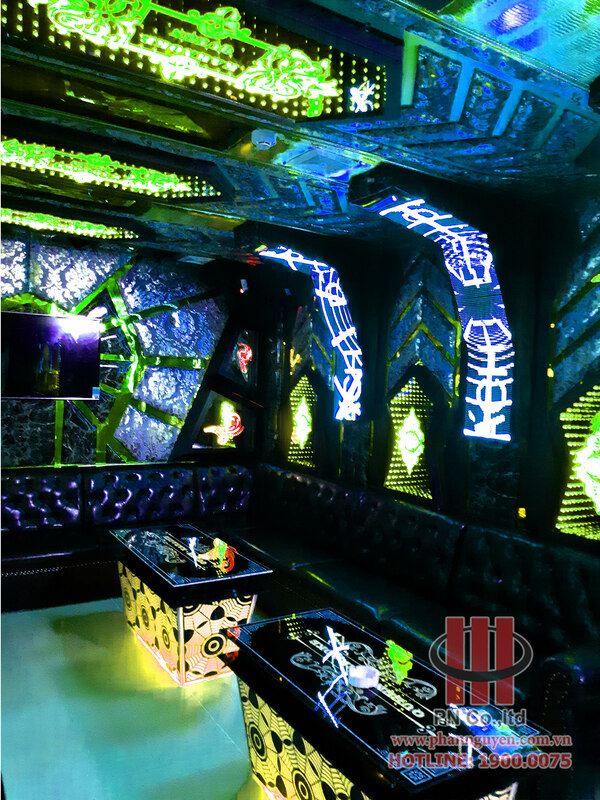 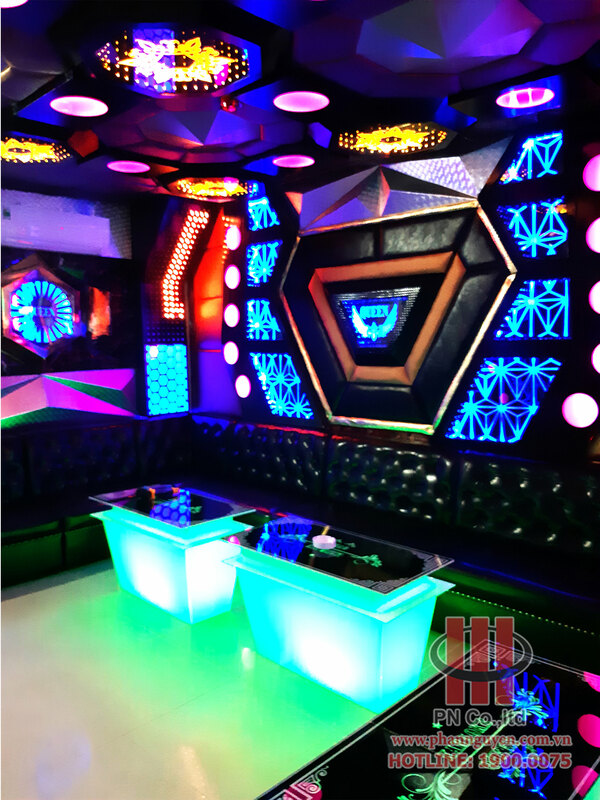 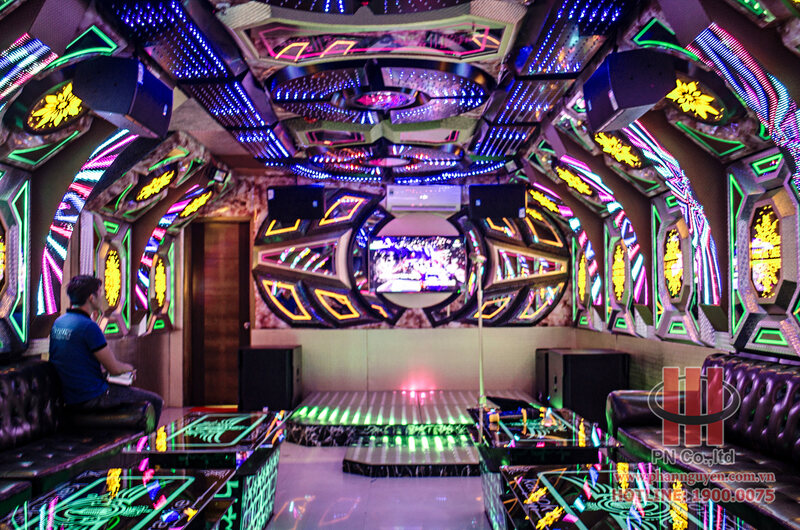 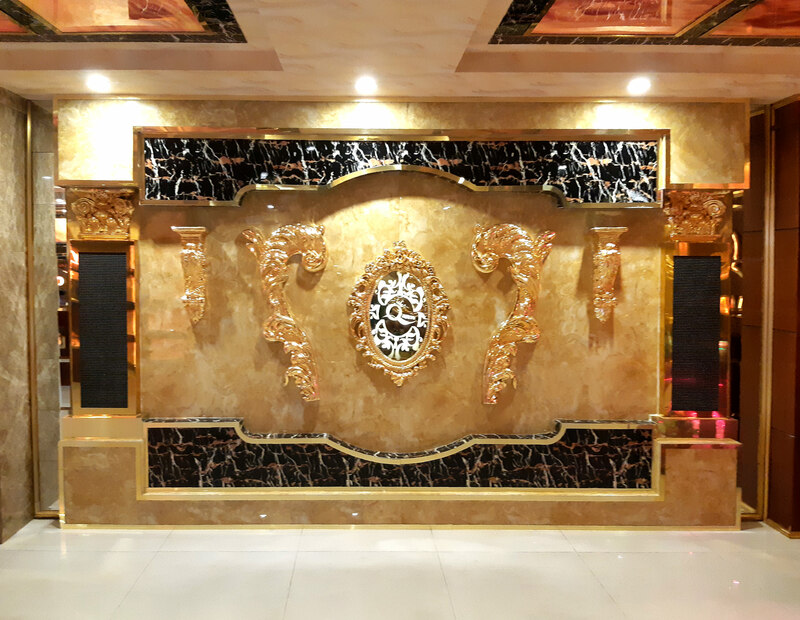 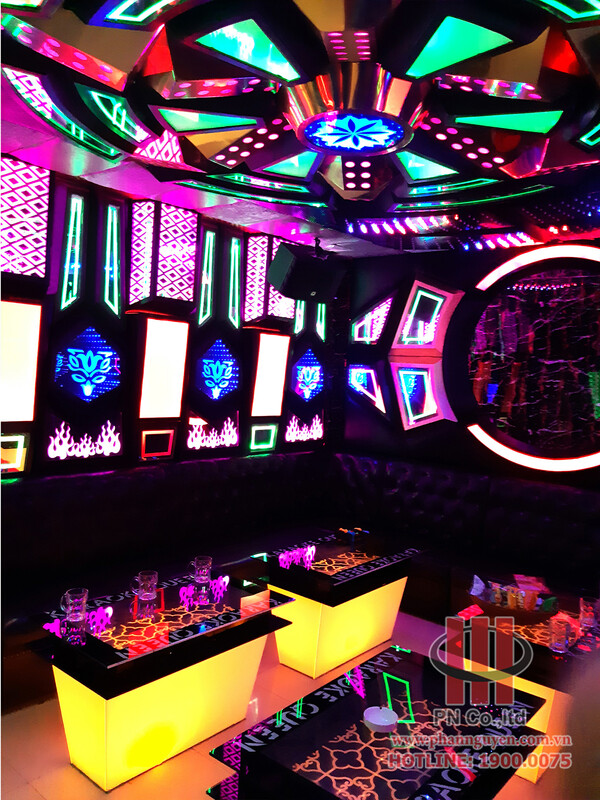 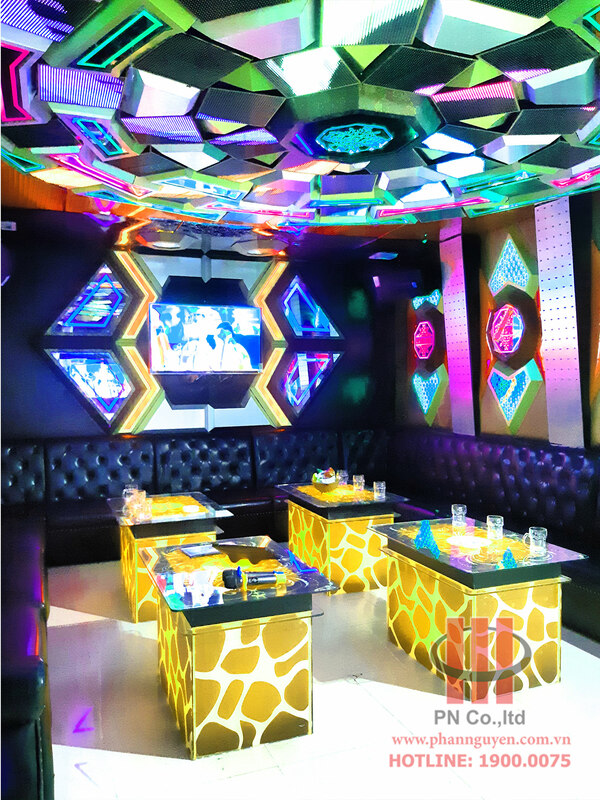 With the karaoke system of high class, karaoke space design modern, luxury, Karaoke QUEEN – Can Tho is worthy of entertainment, the highest level for all customers to karaoke relaxation after the stressful working hours. 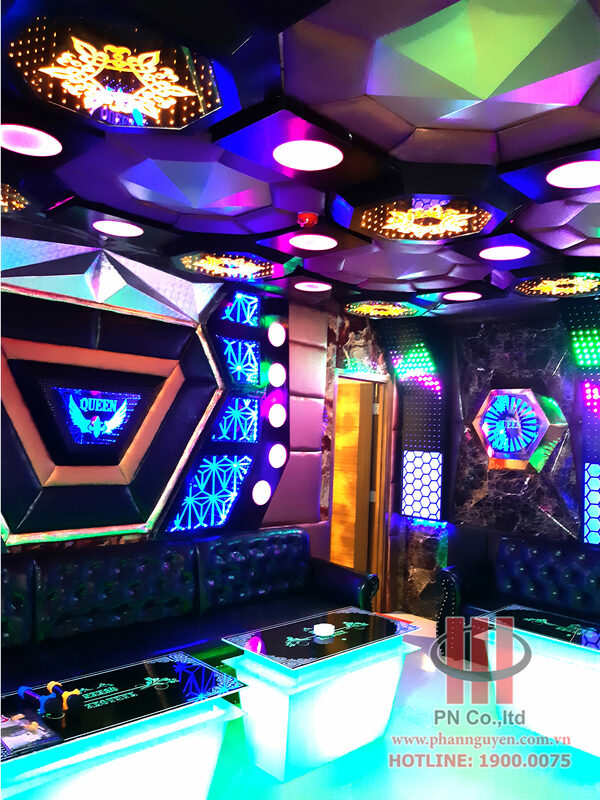 Depending on the design style and area of each room, experienced audio technicians of PHAN NGUYEN AUDIO have set up the best sound system for each room, creating a space for entertainment of the highest level. 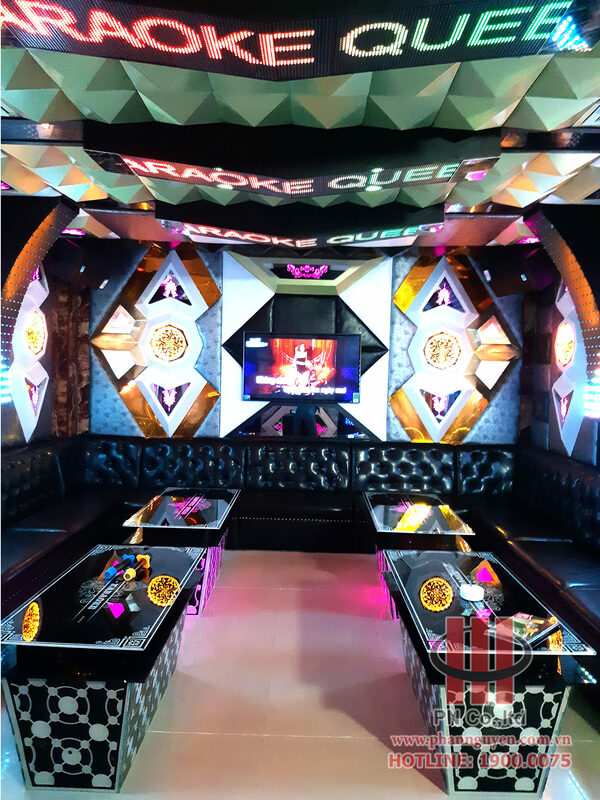 For customers to entertain karaoke at QUEEN Karaoke. 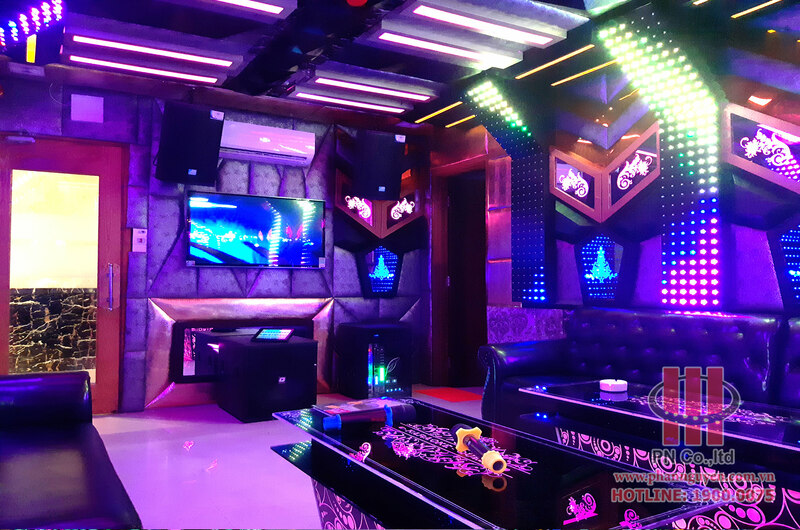 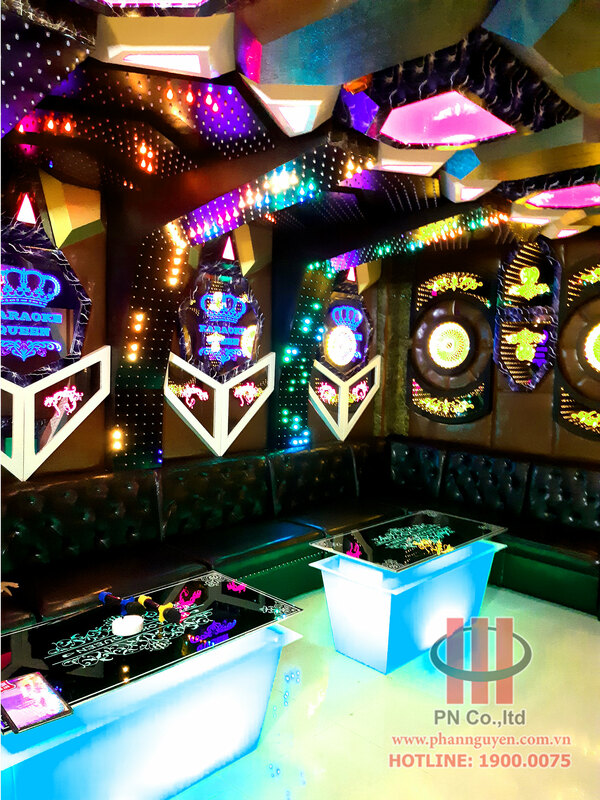 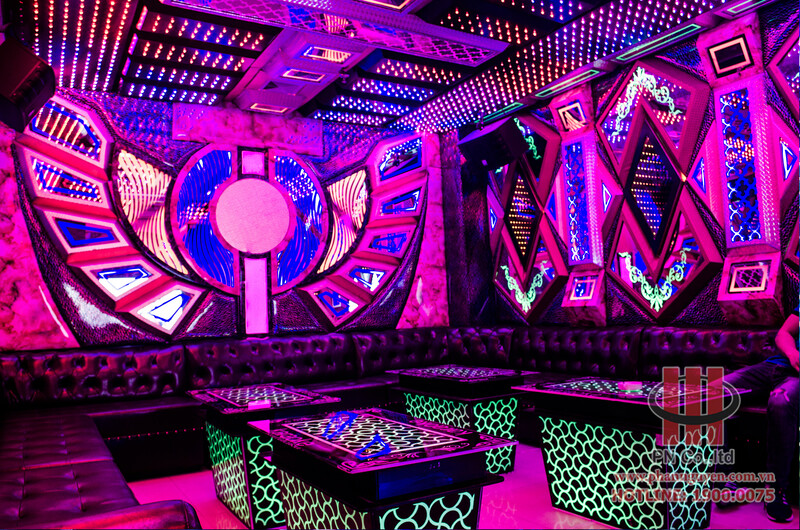 With quality interior space, top quality sound, QUEEN Karaoke is a top entertainment for everyone in Can Tho.